By hungry runner on August 30th, 2010 . Filed under: Halloween . It is never too early to begin thinking about your Halloween costume. 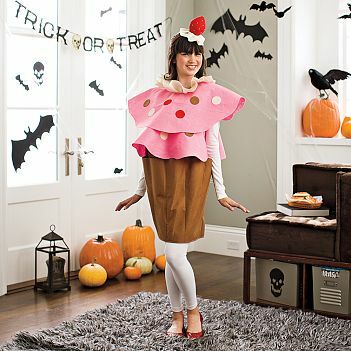 PBteen has a cupcake costume available in small, medium, or large for $69.00. The costume includes the cupcake body and headpiece and currently has free shipping. you forgot to mention that is is totally your halloween costume for this year. I made my little girl a cupcake costume last year, so so cute. Wow. $69 is a bit much. One can easily buy the fabric and make one for much cheaper! If you like hiking, mountain climbing, or just traveling and camping out, then sleeping bags come in extremely handy. Sleeping bags are comfy readymade beds. Quite straightforward to set up. You will just lay it and you might be prepared to use it. But note that not all sleeping bags are the very same.